I remember when I was little, the things that I love most was to paint my toe nails in colours. That was because the school does not allow us to paint the finger nails. Since schools in Malaysia, the primary and secondary schools requires the students to wear a covered white school shoes, the best place to have colours was on our toe! Not to mention those cruel teachers would love to see us cut our nail short like very very short, without showing any white tip of nails. Ever since then, my nails got really ugly. However, there is something that bothers me as much as my love towards toe nail colour. The kicking and friction between the nails and the shoes in a covered shoes was a pain. They got my newly paint toe nails some "art". Not that pleasant. 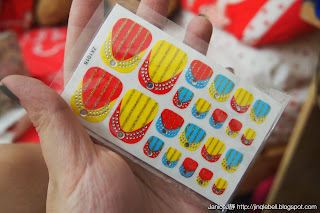 Just like my previous blog post on Bloop's finger nails sticker , here we are going to talk about the one for toe nails! Below I will comment on the size difference, pairs in it and the correct method on the usage if you have not read my Bloop's finger nails sticker . The way to use it is actually same! Here I would like to thanks HiShop.my for sponsoring this product for review purpose. All words writen in the blog however, is purely my own opinions. 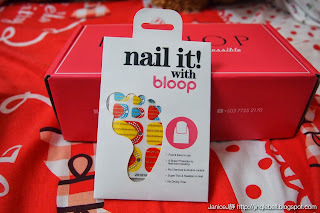 Just like the Bloop's finger nails sticker, it comes with a mini nail file for you to nail off the extra length of stickers which I find it really really handy! This design I got was actually a little Arabic in feel. Also, see how many stickers you get in a pack! 22 stickers of different size! This could last me about 2 to 3 times cause I reuse the "extra length". 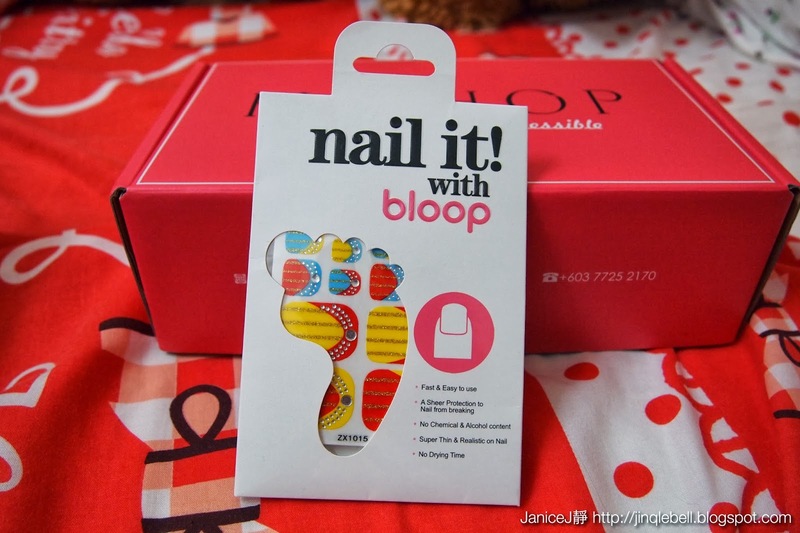 For more information, kindly visit Bloop's finger nails sticker and see how I do it! Next, please pardon my ugly toe nails. Do clean up any nail polishes/coats so that the sticker can attach better to the nail. First, you choose the sticker which is suitable. I found the toe nail sticker is actually better in size compared to the Bloop's finger nails sticker. I could easily find the size that is suitable to my toe nail size. Even for very very small sticker for last toe nails is attached too! Note to not remove the transparent top layer on toe nails sticker as it would help you to stick on your nail better. Also, use a scissors to cut out only the sicker you want before trying to apply it. After you stick on each and every sticker, I suggest applying a layer of transparent clear top coat on it for longer lasting! 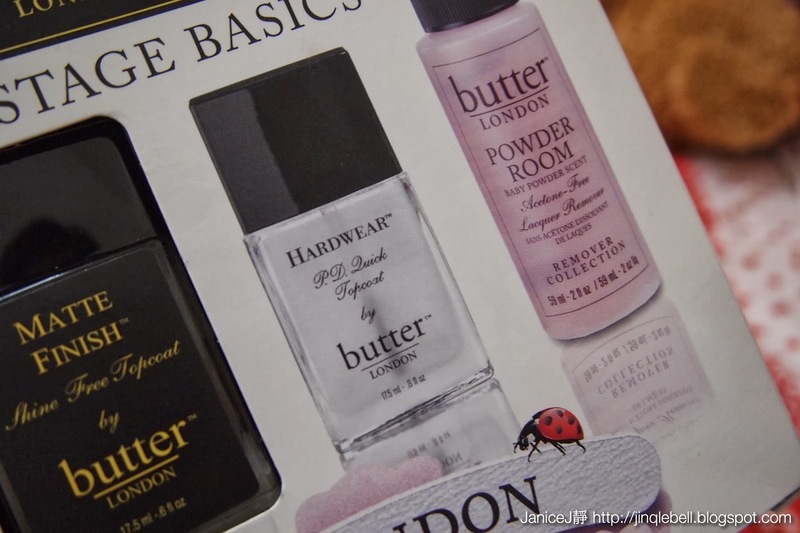 Here I use the HARDWEAR P.D Quick top coat from the Butter London Backstage Basics set. You can get the set form any Sephora. Got mine at RM8x, but the latest one is RM13x, comes with a bottle of nail colour of your choice. I would love to review the set consisting of one nail file, one top and base coat each and also a small bottle of powder room nail polishes remover which I got for RM8x(without the nail colour) on my upcoming blog post. Back to the Bloop toe nail stickers! Do remember to seal the tip with your topcoat to protect it for longer. This is how it looks like after applying. The colour is really vibrant and it is super breathable on nails! Not forget to mention the small small pores on the stickers. It has been about a week until now and the sticker still stays intact like how when I first stick it on! Amazing right? I am hoping that it would last me until Chinese New Year so I do not have to reapply my nail lacquer which is so time consuming! These stickers would not cost you an arm or a leg! I believe that it is about the price of Bloop's finger nails sticker, which is RM 38 for 3 packs! Cheap and easy for Diy lover or busy people. You can get these stickers here.